Spanish champions Barcelona are said to have leapfrogged Chelsea in the race to sign defender Daniele Rugani from Juventus at the turn of the year. 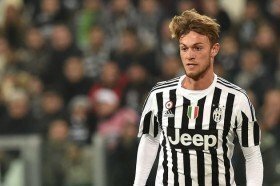 Rugani was constantly linked with the Blues during the summer but a move failed to materialise with the Bianconeri unwilling to listen to offers. However, the Italian has since experienced a tough time with the Turin giants with just three appearances in the Serie A and Diario Sport claims Barcelona may seek to take advantage over his situation. The Blaugrana are currently seek a new central defender amid the regular injury concerns for Thomas Vermaelen and Samuel Umtiti this term and Rugani has been identified as the prime option to fulfil the role. Rugani has previously indicated that he has no issues fighting for his position at the Bianconeri but reports suggest that he may fancy the prospect of joining the Spanish heavyweights. Barcelona are likely to make an initial loan approach for the seven-time Italy international with the obligation for a permanent deal at the end of the campaign.